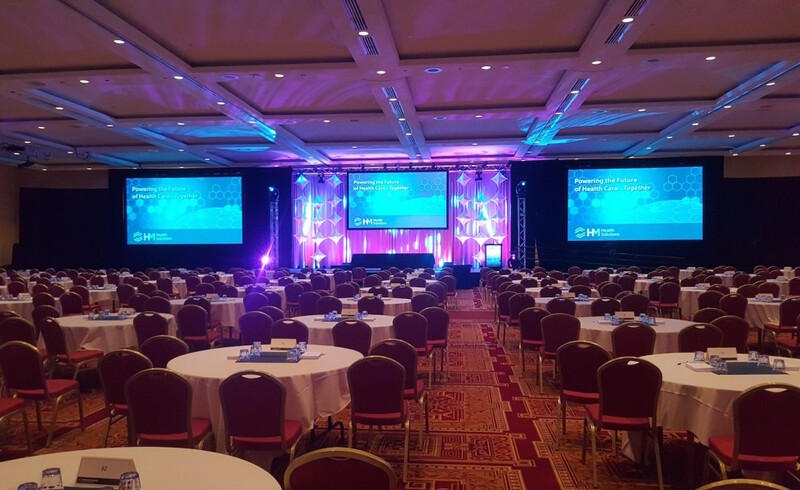 Three Rivers Entertainment worked closely to create a very interactive and visual concept for an annual meeting held in the Wyndham Pittsburgh Hotel. Creative gobos and other lighting elements recreate each scene as presenters and subjects changed throughout the two day event. Rigging for video, lighting and sound. HD Screens carried content and two camera shoot, while lighting emphasized and dramatized simple creative elements to give them definition and character. The digital podium carried that one added slick element and cohesion with graphics, lighting and modern overall look for the event. Moving lights furthered the drama when needed for the awards ceremony and celebration.